Milford Sound history begins a long time ago, back when all of New Zealand was an unspoiled land of forest and mountains, rivers and sea. Māori people living in the South Island discovered Milford Sound more than 1,000 years ago. Tribes would travel there to fish and hunt around the fiord, and to collect precious pounamu. These treks from the east used traditional pathways across passes, including what is now known as MacKinnon Pass on the Milford Track. In Māori legend, Milford Sound was formed by Tu-te-raki-whanoa. He was an atua (godly figure) who was in charge of shaping the Fiordland coast. Chanting a powerful karakia (prayer), he hacked at the towering rock walls with his toki (adze) called Te Hamo and carved it from the earth. The Māori name for Milford Sound, Piopiotahi, means “a single piopio”. When the legendary hero Maui died trying to win immortality for his beloved people, a piopio (a long-extinct native bird) was said to have flown here in mourning. Early European settlers did not explore Milford Sound by boat, not realising that inside its narrow entrance there was such a beautiful region to explore. In fact, it is so well hidden that the famous explorer Captain Cook managed to miss the entrance to the fiord twice! In 1823 a sealer called John Grono was the first European settler to visit. He named it Milford Sound after Milford Haven, a long narrow inlet on the Welsh coast. Later that century, a Scotsman called Donald Sutherland became Milford Sound’s first permanent resident. Sutherland had lived an interesting life, spending time in the army, as a sealer and a gold prospector. In 1877 he left everything behind and sailed down the Fiordland coastline, with only his dog for company. When he reached Milford Sound, he decided to stay. Sutherland chose a spot to live near what is now Lady Bowen Falls. Although he lived as a hermit for many years, he envisioned a flourishing ‘Milford City’. He also discovered the Sutherland Falls which were named after him. In 1890 he married and his wife Elizabeth joined him in Milford Sound. Together, the Sutherlands built the first hotel in Milford Sound, to accommodate the growing number of walkers arriving there on what is now the Milford Track. After Donald died in 1919, Elizabeth sold the hotel to the government. More and more walkers came, and tales of the region’s untouched beauty began to spread. British writer Rudyard Kipling visited it in the 1890s and declared Milford Sound ‘the eighth wonder of the world’. 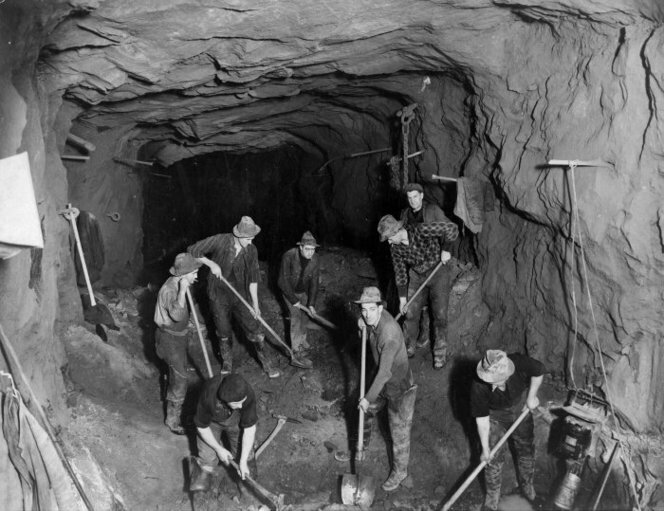 From 1935, workers began to build the Homer Tunnel, drilling through solid rock from the Hollyford Valley into the Cleddau Valley. The work was hard and the conditions tough, but they persisted. The tunnel finally opened in 1954, allowing road access to Milford Sound, and visitors began to flock there to see it for themselves. In 1990 Milford Sound, along with the rest of Fiordland and three other national parks, was named a UNESCO World Heritage Site. Today Milford Sound is New Zealand’s most famous tourist destination and frequently tops lists of the most beautiful places in the world. You can visit Milford Sound on a day tour and enjoy its stunning views with a cruise on the fiord.